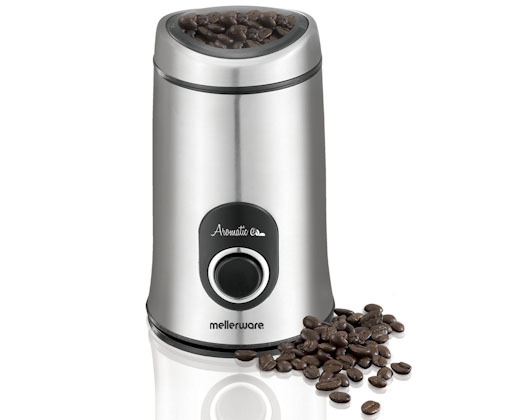 Combine the look of a classic stainless steel body with sleek design and you have the Aromatic Coffee Bean Grinder. Stainless steel blades and intergrated cord storage in the base this is a must have for any modern day kitchen. 50g coffee ground capacity for home brewed style second to none.